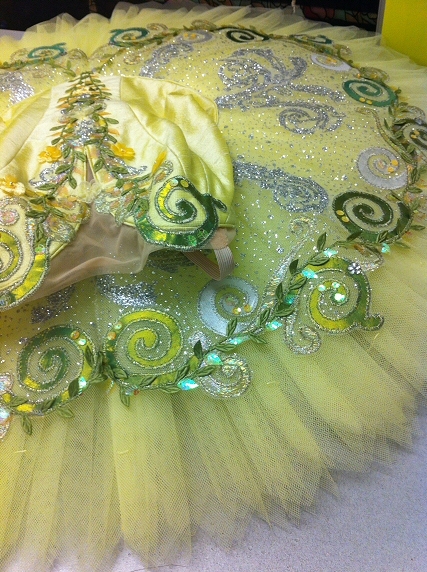 If you are interested in the art of how to make professional quality tutus, Theresa is offering one-to-one individually tailored tuition, or classes for a maximum of two. 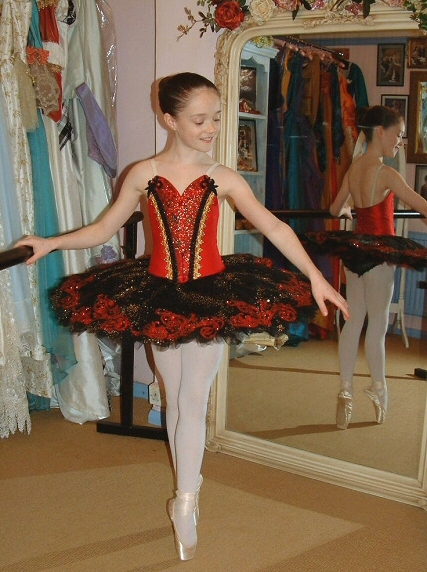 You will have the undivided attention of a tutu maker who has cut, made and fitted tutus for Royal Ballet principal dancers and soloists, and designed tutus for world-class competition-attending young dancers. 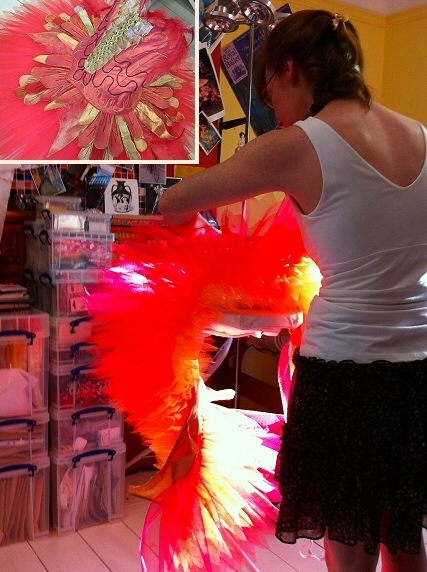 Clients and students are usually looking to extend their skills with a new craft for their own businesses, or to make tutus for family and friends for the sheer enjoyment of it. 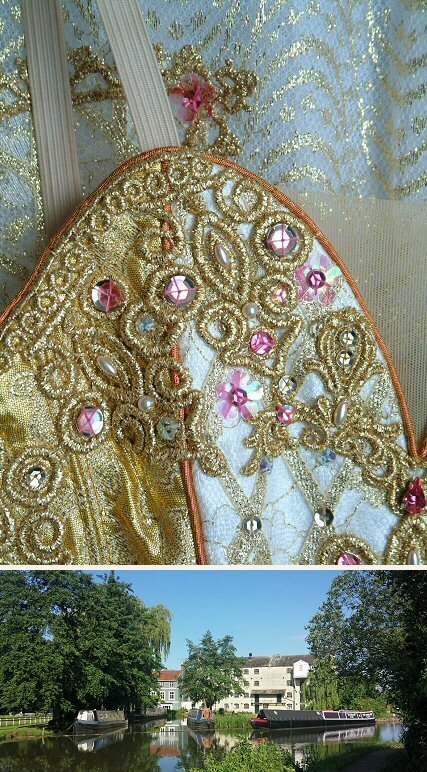 Tutu-making courses, days or individual hours can be arranged, according to your own requirements and experience. specific to you. Contact Theresa for all variations. Two Days: £580 January - March; £600 April-December. You will be provided with a stockist list of specialist tutu nets suppliers, and a "recipe" for your individual requirements - typically this is approximately £30, or if adequately experienced with suppliers, you may provide your own net from your favoured source. Alternatively, you may purchase "kits" of pre-cut net/ready-made pants and/or basques from Rossetti, and concentrate purely on pleating up and applying the nets, setting the tacks, and forming the ideal silhouette over a shorter time period. Please express your interest by emailing Rossetti directly and by filling in the form, below. On receipt of your application, you will be contacted with a quote. Date availability and other details can be discussed by email and phone. 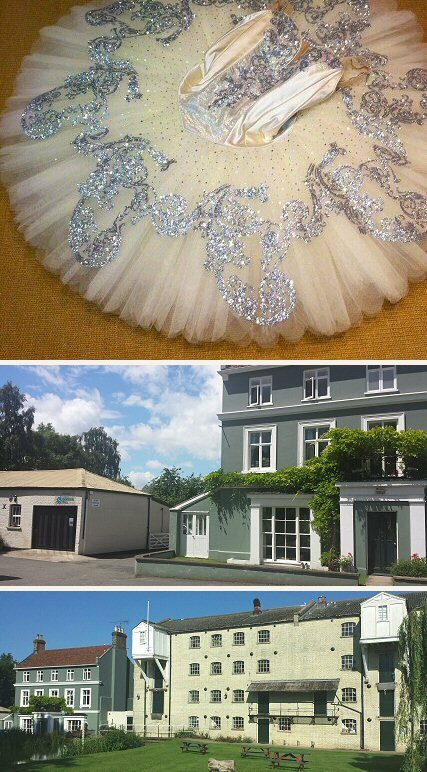 Clients who have formerly attended tutu-making classes with Theresa in Cambridgeshire/ Norfolk must note they will now be held at the picturesque canal setting of Parndon Mill, Harlow, Essex, CM20 2HP - with easy access from the M11, Stansted airport, Cambridge and Central London (Liverpool Street line). General information about the Mill, and its other classes: Parndon Mill Creative Studios. Please contact Theresa directly with tutu queries. Theresa Blake of Rossetti constructs professional quality classical ballet tutus for individual clients and elite professional dancers. 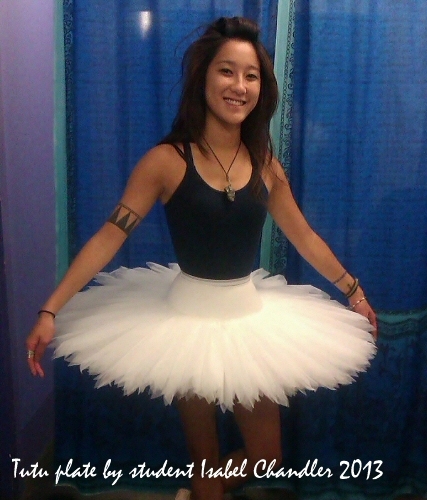 She has worked with world famous principals and soloists of The Royal Ballet, London Festival Ballet, English National Ballet, Scottish Ballet, Houston Ballet, Moscow Classical Ballet and various student performers including Genée International competitors, Ballet Rambert, Royal Ballet Associates and Harlow Ballet School. She was taught tutu construction at Wimbledon School of Art by makers who constructed costumes for the calibre of Margot Fonteyn and Darcey Bussell. Tutus styles and shapes have changed over the decades (and the fabrics used to construct them), but classical tutu-making basics do not change. Besides working with professional performers, Theresa trained to an advanced level of ballet (BBO, RAD & ISTD, Morley College), and therefore thoroughly understands the rigours and punishments costumes have to survive. 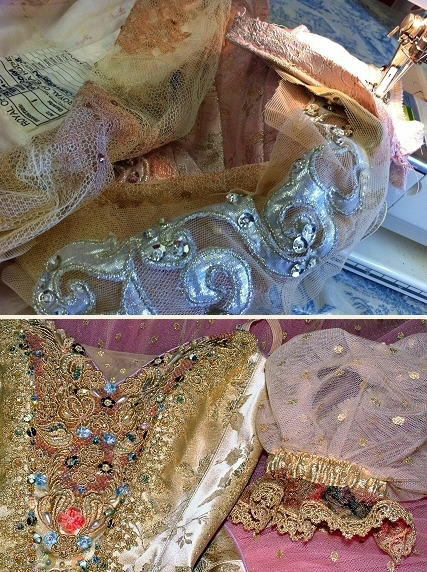 She realises where dance costumes need to stretch and recover,and how to prevent any hindrances to spine, leg and arm movement. Website Design Copyright ©2018 Theresa Blake. All Rights Reserved.